Q. Why is there a need to have IoEs? Don’t we have quality institutions at present? A. The idea behind selecting IoEs was to have at least 20 institutions in the country, which can feature in global rankings. These institutions will have much more autonomy, more freedom from the University Grants Commission (UGC), besides, the institutions will also get financial support from the government. With these goals in mind, it was easier for us to find 10 such public institutions. These institutions were not only established institutions, they also had a good track record. The challenge lay in identifying private educational institutions with similar credentials. We selected 10 institutions from each of the categories based on certain parameters. We selected five each from both the categories and recommended institutions. The final decision was left to the government as the initial idea was to have 20 IoEs. The public sector institutions will receive 1000 crores rupees of funding. The private sector institutions will not receive this but will have the autonomy to become world-class institutions. Q. There was a lot of controversy over selection of Jio Institute. Why was it selected? A. While selecting the private universities we had two important criteria in our mind, one, if they have the required land, second, if they have the necessary corpus fund. Jio fulfilled both the criteria as they had 750 acres of land in Karjat and were going to acquire another 1000 acres. They also had mentioned that they have Rs. 10,000 crores as corpus fund. So, we saw a future in that. Q. JNU has got the highest accreditation from NAAC and is ranked second in the National Institutional Ranking Framework. Still it was not selected? A. We did see that, but then there were some areas where it lacked. That it did not get the IoE status does not mean it is a bad institution, but unfortunately, we could award IoE only to a limited number of institutions. A. First thing is we were not selecting sectoral institutions for the IoE status. In the sectoral category, we selected IIM Ahmedabad, IIM Calcutta, these were recommended for special assistance. ISB was established in 2001, how could they apply under the greenfield category? The second thing is, they do not give any degree, what they give is certificates, they do it because they do not want to be governed by the regulatory bodies. Whenever you are working in a country, you cannot say that you will not follow their regulations. Q. Does the government perceive that private players cannot offer quality education? A. There are a few good private institutions that the government wants to support like BITS Pilani and Manipal. There are also a number of institutions that are not interested in imparting education but are in it to create real estate as educational institutions receive land at a much discounted rates. Though we wanted more participation from private players, only BITS Pilani, MAHE and Jio could feature in the list. Q. It has been over two months since the committee submitted its final report. What is the cause of the delay in declaring the final list? A. Maybe the government is planning to send the report to the Cabinet Committee and get its approval. The delay may be also because of the General Elections that are around the corner. Q. World-class universities have high research output whereas it is very low in Indian institutions. How can this be set right? A. The one area where we are extremely poor that is the area of research. The Indian Institute of Science (IISc), it features around 250 (in world rankings), because a lot of fundamental research is happening there. But, when you look at other institutions research is the real casualty. We have to improve there. Q. Is there any truth in the argument that parameters are skewed in favour of the West when it comes to international rankings? A. Parameters are all the same everywhere. We follow the same 5-6 parameters here; like teaching, pedagogy etc. We are also discussing governance, research, etc. We wanted our universities to be competent enough and compete with the best in the world. In 2017, the Government of India announced that it will establish 20 Institutions of Eminence (IoEs), 10 Public and 10 Private institutions and enable them to break into the world’s top 500 in a decade and later into the top 100 after that. These institutions will have complete autonomy to chart their path of excellence, as they would be free from UGC or AICTE regulations. 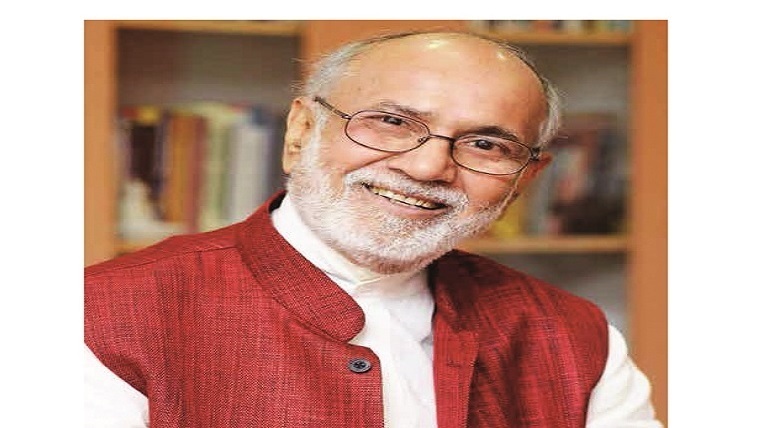 An Empowered Expert Committee (EEC) was formed under the Chairmanship of former Chief Election Commissioner, N. Gopalaswami, with leading academics like Dr. Pritam Singh, former Director IIM Lucknow; Dr. Renu Khator, University of Houston, and Prof Tarun Khanna of Harvard University to select the IoEs. Under the scheme, the public sector institutions will get complete autonomy and also get Rs. 1000 crores each during a period of five years. In July 2018, the first list was announced by the UGC, which included six names; three public institutions in the list were the Indian Institute of Science (IISc), Bengaluru; the Indian Institutes of Technology at Mumbai and Delhi. The three private institutions comprised Manipal Academy of Higher Education, BITS Pilani and the proposed Jio Institute of the Reliance Foundation. Following the announcement, a huge controversy broke over the inclusion of Jio in the list by neglecting other leading private universities. The Committee submitted its final list in December 2018, with five more each from both private and public sectors besides the 10-20 to be shortlisted initially, taking the total tally of institutions for the IoE tag to 30. Though two months have passed since the Committee submitted its report, the Government is yet to announce the final list.